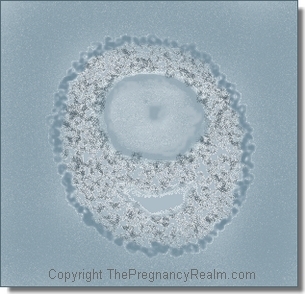 This is the page where you'll find what's new here at The Pregnancy Realm. The most recent updates and new artilcles are posted here for your convenience. New pages are added often so check back frequently. Continue reading "17 Weeks Pregnant | Pregnancy Week 17 & Fetal Development"
Continue reading "15 Weeks Pregnant | Pregnancy Week 15 & Fetal Development"
Discover what happens during pregnancy week 14. At the end of this week you will be 14 weeks pregnant. Learn about fetal development during the 14th week. Continue reading "14 Weeks Pregnant | Pregnancy Week 14 & Fetal Development"
Discover what happens during pregnancy week 10. At the end of this week you will be 10 weeks pregnant. Learn about fetal development during the 10th week. Continue reading "10 Weeks Pregnant | Pregnancy Week 10"
Discover what happens during pregnancy week 1. At the end of this week you will be 1 week pregnant. Learn about stages of fetal development during the first week. 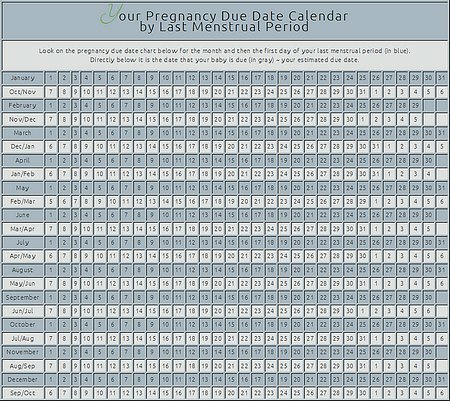 Continue reading "Pregnancy Week 1: First Week Pregnancy"
Continue reading "Stages of Pregnancy Chart | Weeks-Months-Trimesters"
Continue reading "Pregnancy Due Date Calendar & Baby Due Date by Conception Date"
Continue reading "3 Months Pregnant | 3rd Month of Pregnancy"
Continue reading "First Month of Pregnancy | 1 Month Pregnant"
Discover what happens during pregnancy week 13. At the end of this week you will be 13 weeks pregnant. Learn about fetal development in the 13th week. Continue reading "13 Weeks Pregnant | Pregnancy Week 13"
Discover what happens during pregnancy week 12. 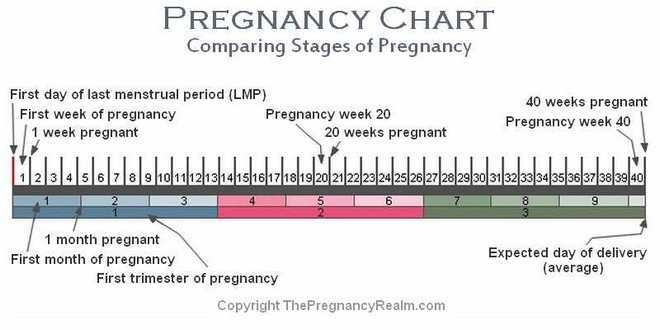 At the end of this week you will be 12 weeks pregnant. Continue reading "12 Weeks Pregnant | Pregnancy Week 12"
Continue reading "5 Weeks Pregnant | Pregnancy Week 5"
Discover what happens during pregnancy week 11. At the end of this week you will be 11 weeks pregnant. Learn about fetal development during the 11th week. Continue reading "11 Weeks Pregnant | Pregnancy Week 11"
Continue reading "2 Months Pregnant | Second Month of Pregnancy"
Continue reading "First Week Pregnancy Symptoms | Sign of Pregnancy Week 1"
Continue reading "First Month Pregnancy Symptoms and Signs"
Discover what happens during pregnancy week 9. At the end of this week you will be 9 weeks pregnant. Learn about fetal development during the 9th week. Continue reading "9 Weeks Pregnant | Pregnancy Week 9"
Discover what happens during pregnancy week 8. At the end of this week you will be 8 weeks pregnant. Learn about fetal development during the 8th week. Continue reading "8 Weeks Pregnant | Pregnancy Week 8"
Discover what happens during pregnancy week 7. At the end of this week you will be 7 weeks pregnant. Learn about fetal development during the 7th week. Continue reading "7 Weeks Pregnant | Pregnancy Week 7"